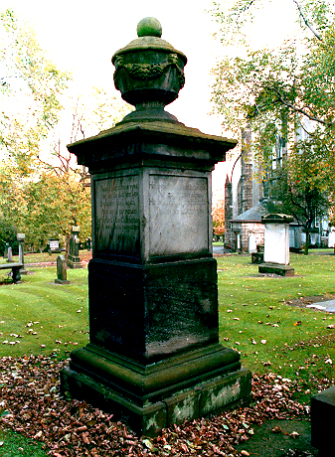 The tall foursquare memorial to Henderson is located in the south west corner of the churchyard. After the restoration of Charles II, Lord Middleton ordered that the inscription on Henderson's memorial should be destroyed. Soldiers also used the memorial to shoot at, and some of the marks of the bullets survive. The inscription was later recut. Alexander Henderson was a native of Fife. He became the minister at Leuchars in that county. In 1637-8 he was active in drawing up the National Covenant along with Archibald Johnston, Lord Wariston. In 1638 he was the Moderator of the Glasgow Assembly, which deposed the bishops and renounced the control of Charles I over the church. 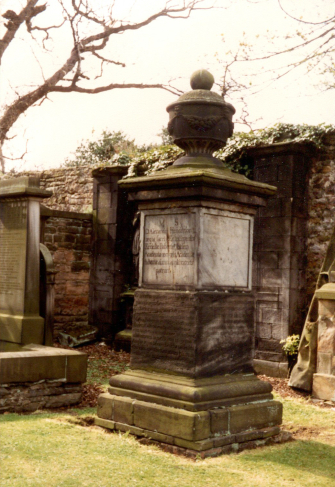 He died in 1646 and was buried in Greyfriars' Churchyard, Edinburgh.